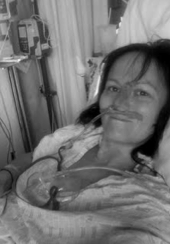 Alas, one of the great patient medblogs is no more! Doctor D has really loved getting to know patients through the blogging medium. 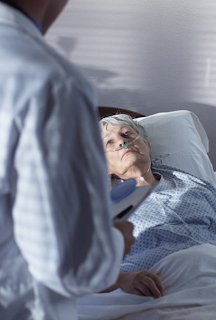 D has spent a lot of time with patients in exam rooms and hospitals over the years, but he has often wondered, "What do they really think about doctors and medical care after they go home?" Doctor D always meets you in that very weird place they call the "doctor-patient encounter" where both people's behavior, perception, and personality are distorted by the odd roles we are assigned to play. For healthcare providers, patient blogs offer a fascinating peak into the private thoughts of patients. Anonymous blogs allow people with medical issues to express their minds with a candidness they are rarely able to display face to face with their doctor or nurse. In blogs we see the humanity of patients through their stories, their triumphs, their frustrations, their fears, their angers, their rants. Any healthcare provider that really wants to "help people" should read patient blogs on a regular basis. Neo-Conduit was that sort of blog. Neo had suffered severe surgical complications resulting in chronic pain and multiple infections to her urinary system. Her blog told the story of her injuries, her frustration with doctors, her observations of other patients, and her personal feelings about life with illness. Reading Neo-Conduit was always entertaining and mind-opening. Her blog has been gone for several weeks now. No hiatus or anything—just gone! Leaving nothing but the dreaded, "blog not found" message. Doctor D tried to contact her, but got no response. We hope that Neo is doing well and that much joy awaits her in her new blog-less endeavors. You can go to her twitter page (which is dormant but still there) to wish her luck. Now AskAnMD requires a new patient blog for the Link List and needs your help! Doctor D is about to take a Lent sabbatical and wants to leave you guys with some really excellent blogs to read. He is looking for a blog that is less technical (only info about diseases and treatments) and more of a personal experience in illness and healthcare. Take a look at the excellent blogs to the right for guidance. Doctor D's favorite new patient blog shall take it's rightful place in the Link List space that once belonged to Neo-Conduit. 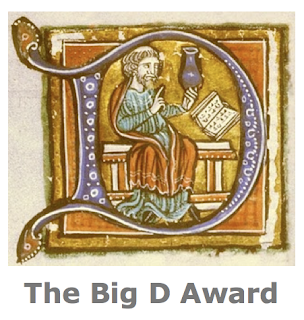 *This isn't a Big D Award contest, but all the blogs in the Link List will automatically qualify for the patient-blogger Big D Awards coming up in April or May! So let Doctor D know your favorite patient blog! And thanks to all you medical patients out there who have educated Doctor D! I recently started blogging because I have alot of pent up frustration due to being stuck in the maze called healthcare. I have Ehlers Danlos Syndrome - my children have it as well. There is no cure, so I will continue to find my way through the healthcare maze for the rest of my life. Feel free to look up my blog... Always looking for new readers/commenters. And thanks for being part of the med-bloggosphere. I'm a fan (but not the author) of Terrible Palsy myself. Good news! Doctor D just got an email from Neo. She is alive and well. Her blog just reached its natural conclusion so she shut it down, but she might be back someday. We're hoping for her triumphant return in the glorious future. Cool, 3 blogs already! Keep them rolling in! R.o.f.l Dr D, I saw my pic and went yeeeuck, lol, horrendous pic indeed. That nasal gastric tube is the ultimate accessory (not). I am heartened to still know there are kind and open minded people in this world(I started to get a tiny, itty bit cynical, now that has gone, kinda sorta) who are willing to do and be kind to others and share their knowledge. Please continue writing when you can, there are always two sides to a story and your views are balanced with a touch of empathy and a whole heap of wisdom thrown in. One day I will write again, hopefully under much better circumstances and a happier journey. Have a wonderful sabbatical, I will keep in touch and check in here when you post. Please don't be the next one to drop off the list, we need some inspiration! Here is a great patient link for you. This is the story of a 21 year old with EDS who does not let it rule her life. She is in animal science classes and has such a great outlook on life for everything that EDS throws at a patient. The first post I read of hers was Feb 6th and I was so very impressed. I agree that it is important...our responsibility even...to try and see things from the patients perspective. Just bought "Anatomy of an Illness" by Cousins yesterday, I am told it is a must read for the same reason as mentioned above. I find it very moving that a doctor would wonder, "What do they [patients] really think about doctors and medical care after they go home?" and that a doctor would recognize how strange medical environments and customs are for those who aren't part of that world on a daily basis. Medical staff are always so busy; I didn't think they had time or energy to reflect on such things. I appreciate hearing that some doctors actually seek out different patients' points of view. Written by a 43 year old with a Congenital Heart Defect, I write about my life story, advances in the Congenital Cardiac field, and advocating for other CHD Survivors. What Is A Proper Work Up?